Kinesiology is the study of human movements, performance, and function by applying the sciences of biomechanics, anatomy, physiology, and neuroscience. Our kinesiologists are skilled to work in strength and conditioning; methods of rehabilitation, such as physical and occupational therapy; and sport and exercise. We offer programs for everyone whether you are recovering from injury, or you are looking for enhanced performance and injury prevention. Our sessions are open to all ages and fitness levels. Perfect for young athletes, dry land training, off season training, weekend warriors, those new to exercise, and even seniors. Who would I see ? Our kinesiologist’s name is Morgan Specht. She works everyday in our PRIVATE gym! This is the part we are super excited about ! 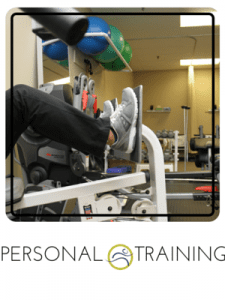 We love to tell people we offer personal training for an incredible and affordable price. Our personalized, one on one session are only 35.00 ! Are These Sessions Covered By Insurance? These sessions would be available for submission to any health care spending account. You can call us at 780-980-5443 or visit our online BOOKING SITE to book your first session today!